A federal jury in San Francisco found that Edwin Hardmen’s use of Monsanto’s Roundup in his yard was a “substantial factor” in causing him to develop a non-Hodgkin’s lymphoma. Hardmen’s lawyer argued that Monsanto “influenced and manipulated” science surrounding the popular weedkiller and its active ingredient glyphosate. The new study released on March 18, 2019, by the International Journal of Epidemiology showed links between glyphosate herbicides and non-Hodgkin’s lymphoma, combining data from over 300,000 farmers and farmworkers across France, Norway and the USA. Researchers found that one of the specific types of non-Hodgkin’s lymphoma linked to the usage of glyphosate was diffuse large B-cell lymphoma, which is the same type of cancer the plaintiff has. But, according to the plaintiff’s lawyer, through the relationships with regulatory officials and by ghost-writing scientific studies Monsanto has spent years suppressing information about the dangers of its glyphosate-based herbicide Roundup. The jury verdict finding that Roundup causes non-Hodgkin’s lymphoma is the second such jury ruling in the past seven months. A second phase to the trial will determine whether the company is liable and if so, for how much. 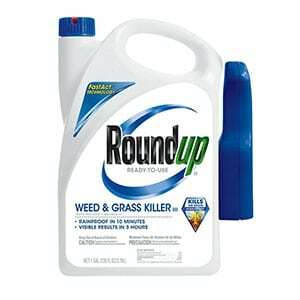 Over 11,200 Roundup lawsuits are currently pending across the U.S.
For more information about this trial read this article by Fox Business. NastLaw is currently investigating Roundup lawsuits on behalf of individuals who have been diagnosed with cancer after using the weedkiller Roundup. Contact NastLaw for more information.